Facebook depression: real or not? From a student created university social network in Harvard to near one billion users across the planet, Facebook is the largest social network in the world. 1 in every 7 minutes spent on the internet is spent on Facebook. This increase in use can negatively impact users and can cause increased feelings of sadness, loneliness. Facebook Depression is a loose term to mean feelings of sadness, loneliness and disconnection while using Facebook. However there is no clinical diagnosis of Facebook depression and no studies clearly showing a link between Facebook usage and depression. The power of Facebook to cause feelings of sadness and depression is driven by the need to socialise, fear about public image and reputation, and reactions to people who seem to have it all-together. People who are prone to loneliness need to be cautious as they use social networks, especially vulnerable people trying hard to secure popularity and connectedness. Facebook is not a real community, it is a virtual one. People can’t cry on your shoulder, give you a hug or express full human emotions to you – emoticons are a poor substitute for real emotions. Facebook profiles don’t always project reality. Profiles are often highly manicured to show desirable rather than consistent images of people’s lives. With such an image conscious focus it makes people feel sad at the superficiality of the network. For people who are struggling with low self esteem Facebook reinforces feelings of everyone else having fun and getting ahead. Depressed people often struggle with feelings of envy and anger when seeing popular and sucessful people, Facebook enhances this interface. Facebook is just another communication platform and it is essentially neutral. People’s own use determines if they get harmed from it or not. Facebook enables free communication for people in remote and regional communities. It also a great way for marginalised groups like the elderly to connect with other people. People derive good feelings from being in contact with others on Facebook. It can promote feelings of self-esteem and well-being especially with people around the world. Facebook is a great way to connect with long lost school friends and other people in your life. It empowers people to take action against issues by forming social movements against companies, governments and abusive powers. It can also cut through red-tape when it comes to customer service by visibly approaching a company. Facebook allows people with depression to connect via support groups online. 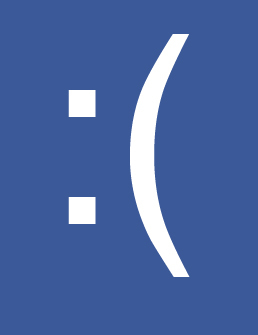 The Verdict: Is Facebook Depression real? Just like eating too much fast food, spending too much time on Facebook is not always healthy. Learning how to use it in a positive manner with boundaries is key. Keep Facebook use at a normal level and cut back if you need to. Realise that relationships in the real world come first. While there is no link between Facebook and depression, healthy use limits possible feelings of sadness and loneliness that may come from spending too much time online. All information on this site is covered by an important disclaimer. Please leave a comment if you’ve read this story for affirmation or to give us feedback. Follow us on Facebook and Twitter. If you would like to submit a story which can change and influence other lives please contact us. We really hope you do beat your depression.